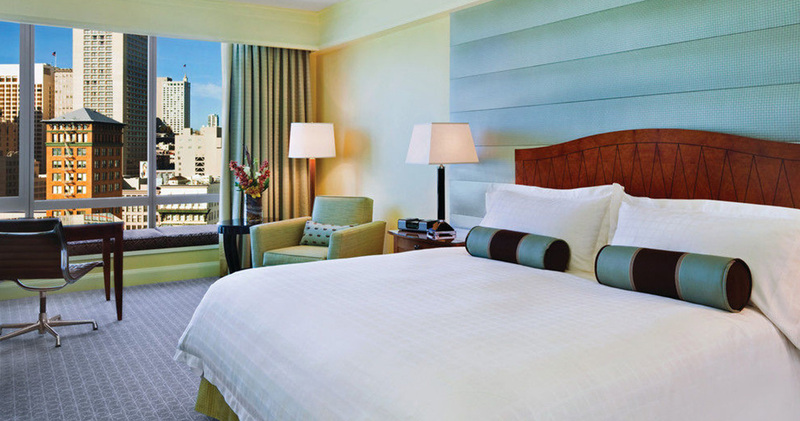 With beautiful views of the Yerba Buena Gardens, Four Seasons San Francisco boasts contemporary decor and luxurious rooms. 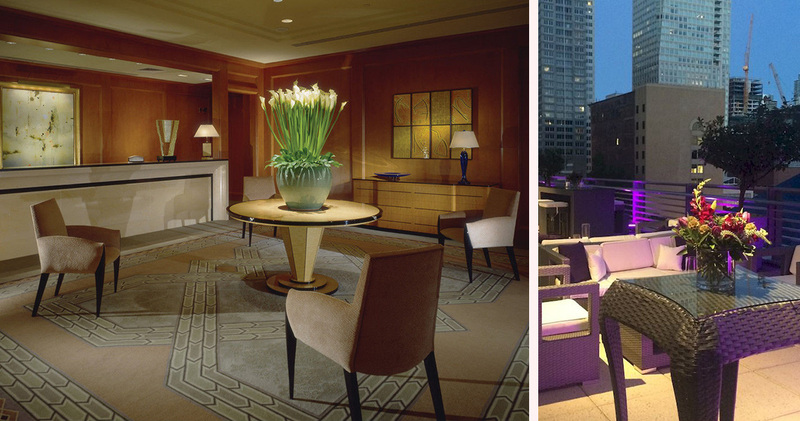 Four Seasons San Francisco is located a few minutes away from Union Square and the Yerba Buena Gardens. Stepping inside the lobby, guests are greeted by a sophisticated interior featuring plush rugs, wooden wall paneling, gold accents and comfortable furniture. 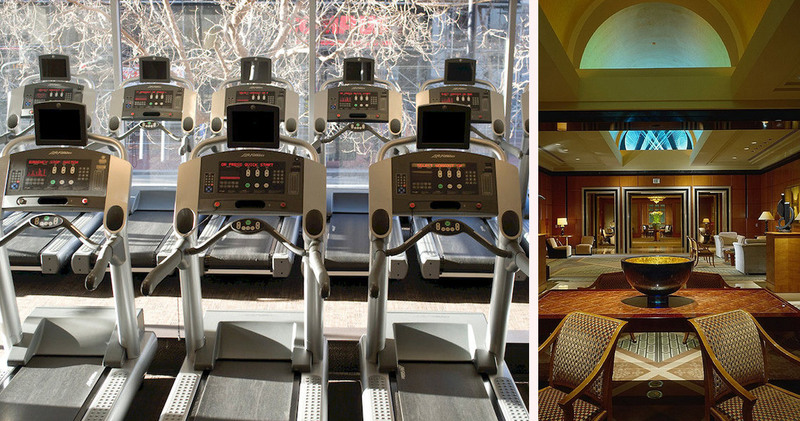 The Four Seasons San Francisco is also home to the Equinox Sports Club, a state-of-the-art fitness facility spread over an area of 127,000 square feet. 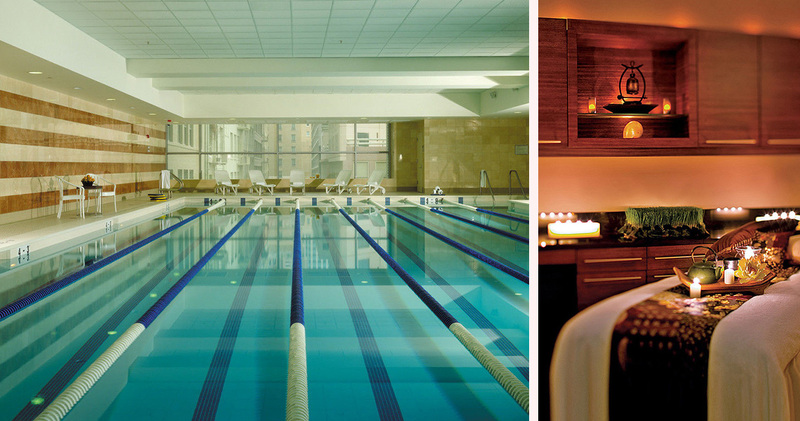 This comprehensive facility offers a steam room, sauna, complimentary group exercise sessions, a 75 Ft. Olympic junior pool with aquatic exercises classes and eight lap lanes. 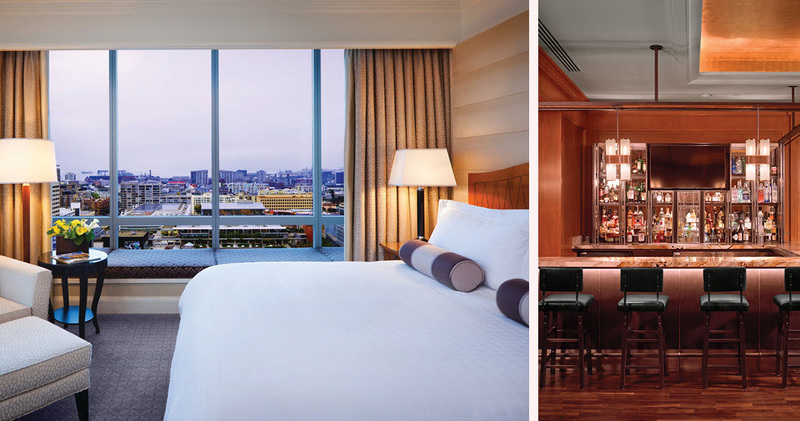 Additionally, the hotel has its own private art collection that reflects the culturally rich and diverse art scene of the city. 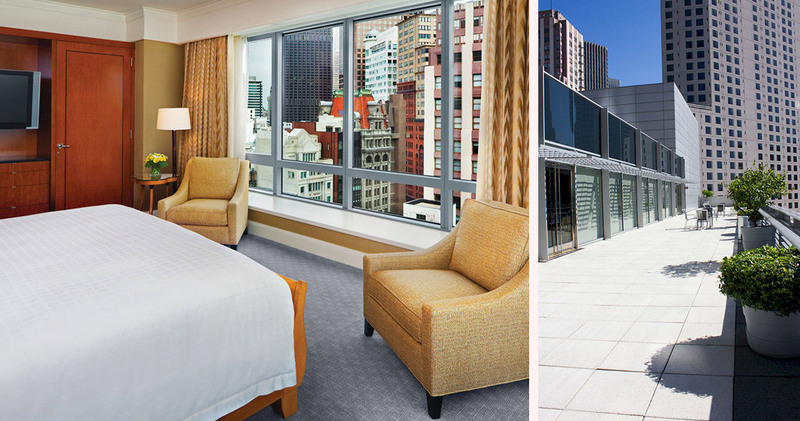 Bathed in natural light and boasting stunning views, the 277 guestrooms at San Francisco Four Seasons have a spacious, open design. Each room has a designated dressing area, lounge chair, work desk and huge windows, along with comfortable beds dressed in down duvets and pillows. Hypoallergenic pillows are also available. 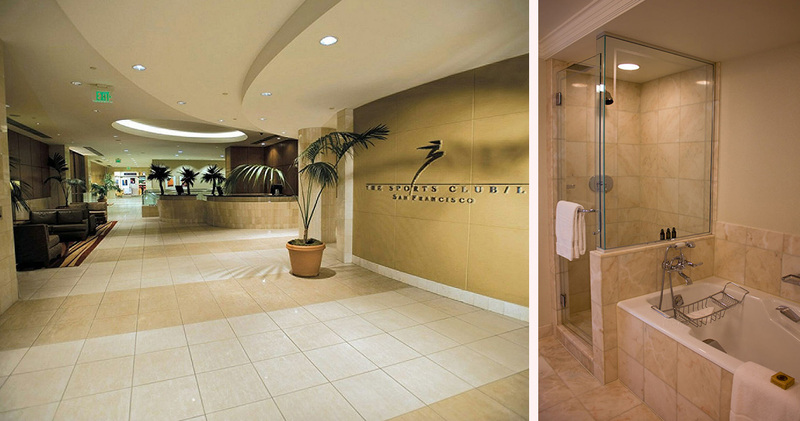 The décor is serene and sophisticated, with hues of soft teal, mocha and gold, and the spa-inspired marble bathrooms feature deep soaking tubs and glass-enclosed showers. 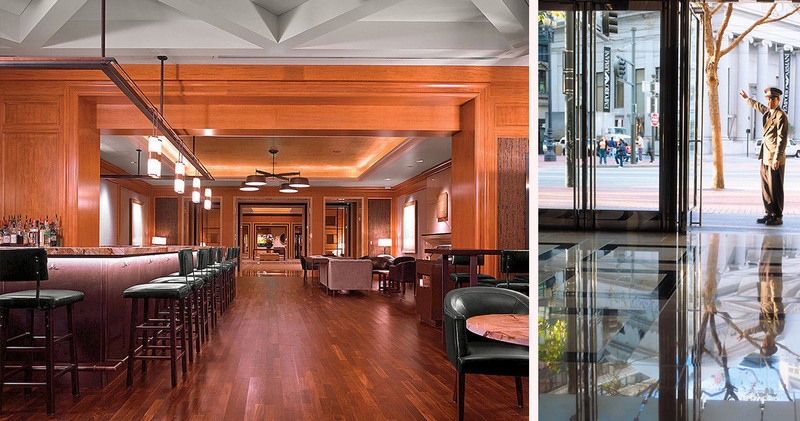 The MKT Restaurant at Four Seasons San Francisco has a chic, relaxed atmosphere, featuring black and green leather chairs, oak floors and brass details. 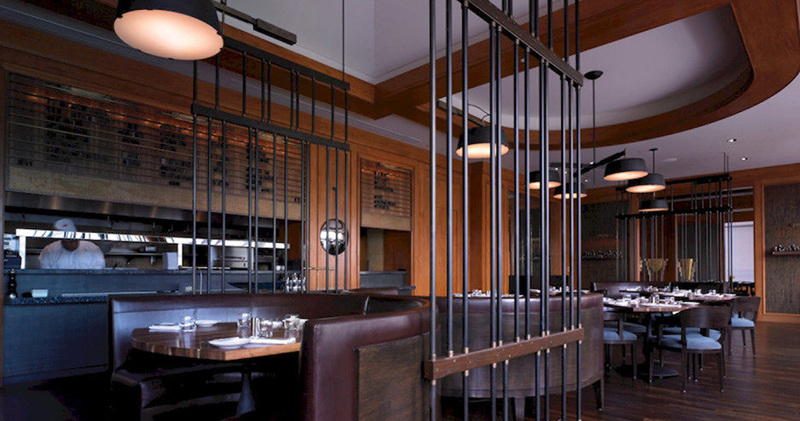 The restaurant serves steaks, small sharing plates and a Californian wine list.